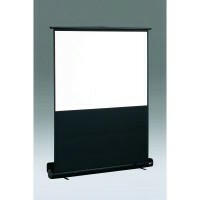 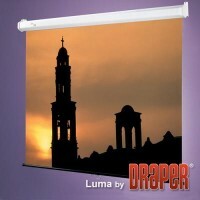 Draper Luma manual pull down projection screen. 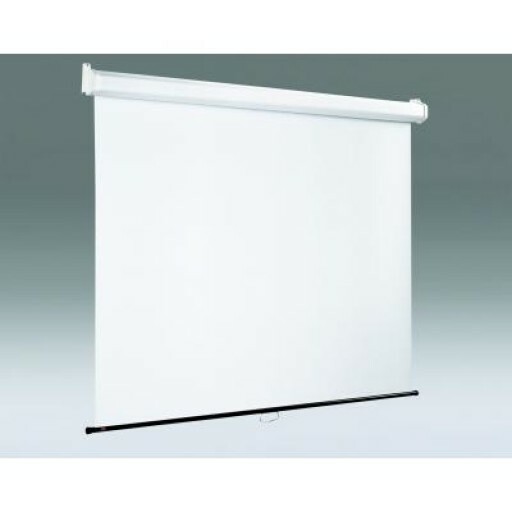 106" diagonal (16:9) Viewing Area 234cm x 132cm. 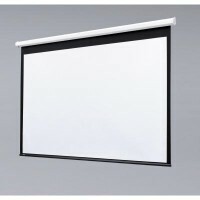 Matt White front projection surface with black borders - Overall Surface Dimensions 244cm x 163cm - White steel case 9.5cm high x 8.3cm deep - Optional extension brackets available DRP-EXTBKT-15.